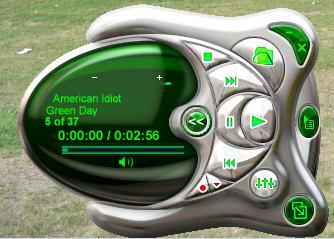 This is just a mp3 player. I got board one night. I got the idea from a skin of another media program. Nice work! smoooth. .......I can't get it to PLAY anything on WMP 10. Help? Try the playlist and add songs. Other than that i dont know whats wrong. worked fine for me. Let me know if that helped.